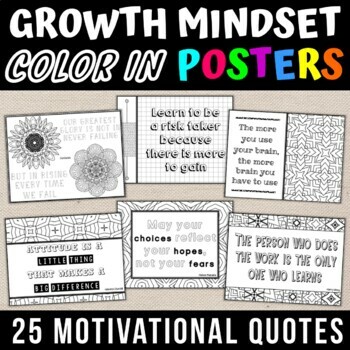 This pack of 25 Growth Mindset Coloring Pages with quotes for students is a great addition to your elementary classroom and an ideal medium for developing a growth mindset in your students. 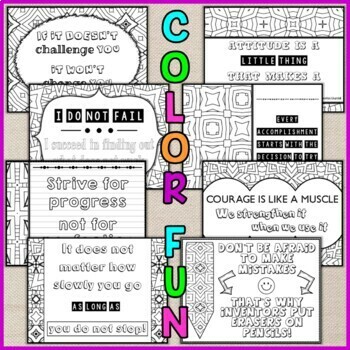 The printables, once completed, create a colorful display on bulletin boards and remind your students of the 'power of yet' and the ability of their brains to grow! Students can also place the posters in their binders or notebooks for constant motivation. 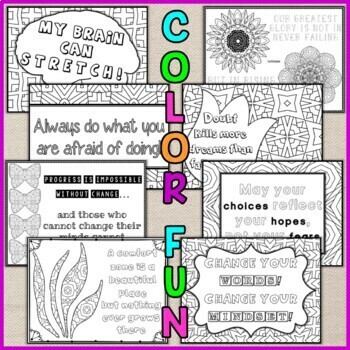 They can color one or more patterned/mandala landscape posters, each containing a growth mindset quote.